1 Combine the cocoa and shea butter and the coconut oil with the wax in glass jar. 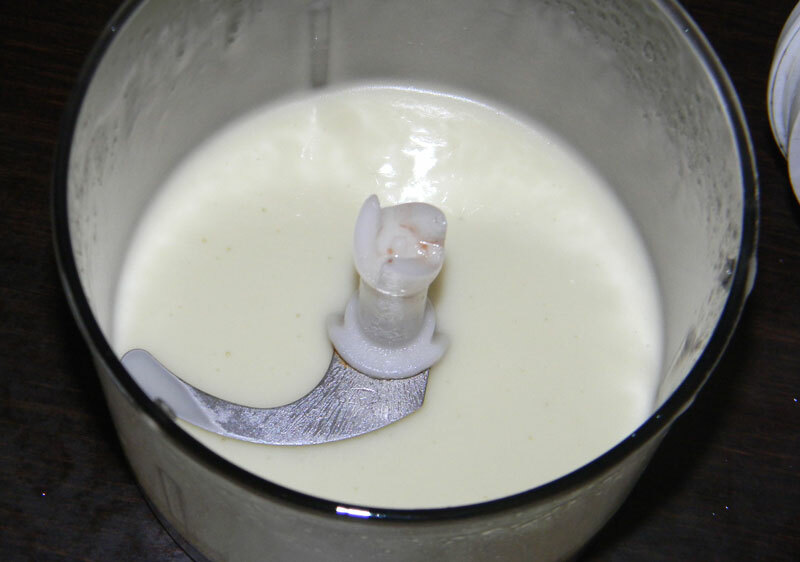 Place the jar in a pan half filled with water and turn the heat on low and let the pan there until the wax melts. 2 Remove it from heat and set aside to cool a little bit. 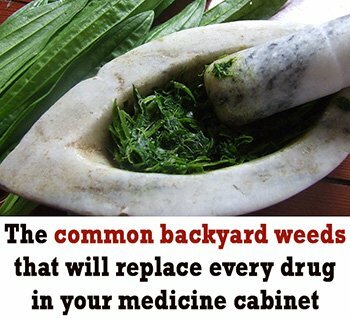 Pour the floral water in the aloe gel and mix well. After that transfer the oil mixture to a food processor and add the sweet almond oil. 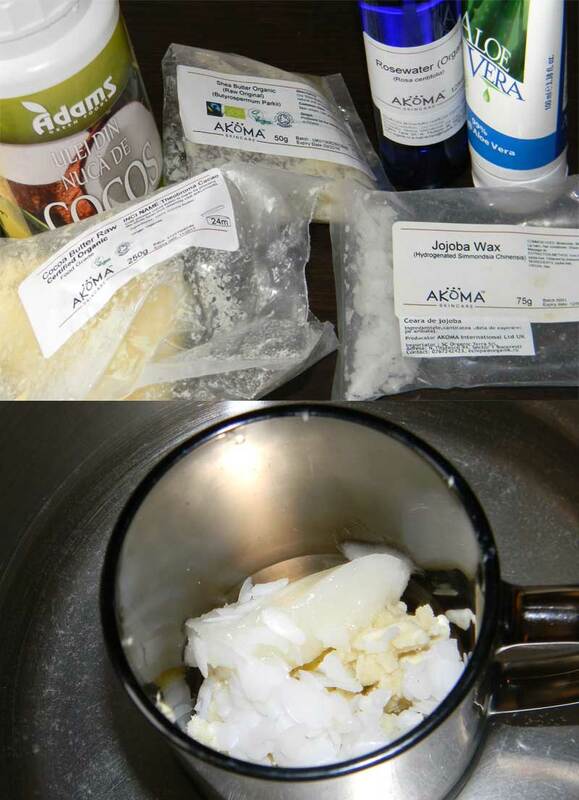 3 Slowly mix in the aloe vera gel, then add all the other ingredients and blend until fluffy. 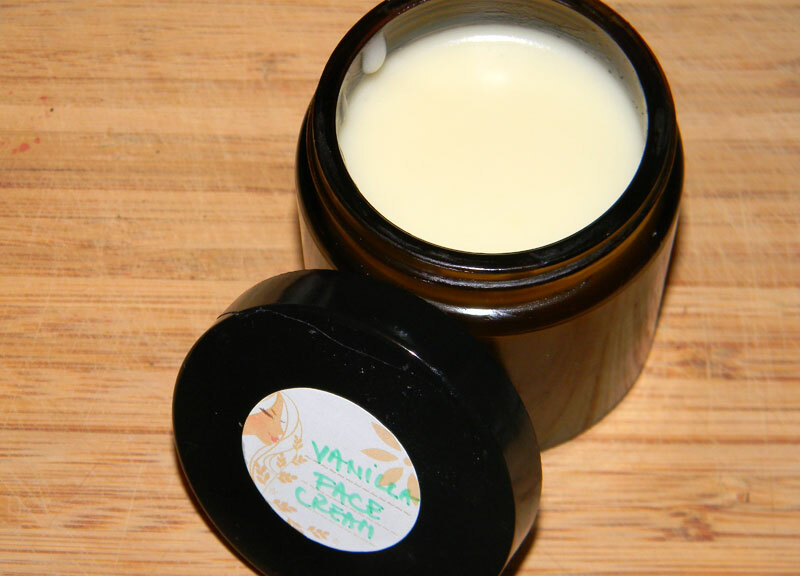 Hope you enjoy this vanilla facial moisturizer.